Umangini Desai is a certified classical homeopath by council of certification in homeopathy. She is a registered Homeopath from the North American Society of Homeopaths. (NASH) She graduated from theUniversity Sardar Patel University with a Bachelors Degree in Homeopathic Medicine and Surgery. She also completed an 18 month internship at the Anand Homeopathic Hospital. She completed her post-graduate in 1998 at the Institute of Clinical Research in Mumbai by Dr. M.L.Dhavale. 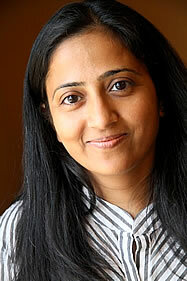 She has been practicing classical homeopathy for over 11 years. My Grandfather was the great physician in the 1940’s in a small city in India. I always loved to spend my summer vacation at Grandpa’s place. I saw poor villagers in his walk-in clinic from several different villages for their treatments and also experienced their financial strain for their medical treatment in spite of him giving the least expensive treatment plan. At the end, they would bring some kind of treat with love for him and our family but most importantly award him with great respect and blessings. It inspired me to become a helpful and sympathetic person. When I graduated from high school, I could not get in the Allopathic Medical College. I decided to pursue the medical field still and got admission in one of the best homeopathic college in India. After graduating, I still wanted to learn the practical aspect of homeopathic way of case taking and in-depth philosophy and joined Institute of Clinical Research in Baroda for 18 months. I continued learning the different aspects Complimentary and Alternative Medicine and now it has been over 11 years of treating clients with Classical Homeopathy. Umangini Desai belongs to a family of medical practitioners which has been engaged in the field of medicine for fifty years or more. The atmosphere in her family has always been conducive to education from the beginning. Since her grandfather and other relatives are medical practitioners, microbiologists and pharmacists, she grew up with an understanding of medical ethics. At an early age she acquired a great depth of medical knowledge and saw how this profession helps mankind to be healthier and happier. “Simila similibus curentour” – “Like cures like” is a principle of homeopathy and characteristic of homeopathic medicine that aims to increase the immunity of patients. This principle excites Umangini Desai. Homeopathy as a less expensive health alternative to traditional medical care and often carries less ill effects on patients. Desai saw homeopathy as a tool to provide the best health care and vitality to humanity at the most affordable cost. Throughout her schooling she was a brilliant and outstanding student. She went to Sardar Patel University in India. After five and half years of full-time schooling, including one year internship in homeopathic hospital, she received her B.H.M.S (Bachelor of Homeopathy, Medicine and Surgery). She is always willing to learn new aspects and techniques of homeopathy. After completing her BHMS, she practiced homeopathy and joined ICR (Institute of Clinical Research in Homeopathy) for 2 years to receive more experience in classical homeopathy and case taking techniques. These techniques were developed by well-known homeopaths, Dr. M. L. Dhawale, Dr. Samuel Hahnemann (1755 – 1843), and others. She is a certified member in Classical Homeopathy by the North American Society of Homeopaths. She presented many cases in seminars and workshops with her colleagues.